Was Adolf Hitler a "mad messiah" who cast a spell over a demoralized people with little will to resist him? Or was he simply in the right place at the right time to meet Germany's deep-seated need for a strong and aggressive leader? The author of The Crimes of Jack the Ripper and The Nazis and the Occult here explores the role played by the Nazi Party in the everyday lives of German citizens, including how much they knew about misdeeds committed in their name. 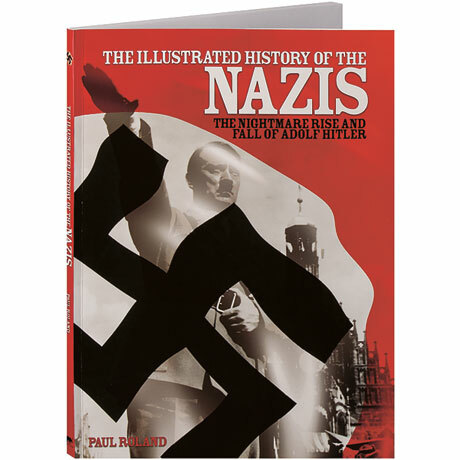 Illustrated with archival images on nearly every two-page spread, the book traces Hitler's early life and influences, Germany's bankrupt economy, the rise of the Third Reich, and the conduct of the war and the Holocaust from behind the scenes, as well as how Nazi Germany unraveled under Hitler's command.